No, not that one (but I got your attention yes?). I mean the other ‘C’ word that for some has almost the same connotation: Conspiracy. Before I get started, I would urge anyone who has an instinctive negative reaction to the ‘c’ word to read on, regardless of any existing prejudice. To dismiss it at this point would defeat the purpose of me trying to discuss the subject in a balanced way and engage with both sides of the issue. It is hard to declare a position or talk about such matters when the received view of this type of thinking is that it should be mocked and ridiculed. So please, don’t receive a view, at least for the next few minutes as you read on, instead disseminate my ramblings and form a view of your own, even if this ends up being the same as the one you started with. Thank you. This isn’t a formal philosophy essay, so I have no problem declaring a position of my own before I really get into things. I am open minded. I don’t seek out conspiracy theories (I’m not a regular visitor to those website and such like), but I do know people who tell me interesting things, and I may occasionally go and check them out to see what I think for myself. It’s not much of a position, but I still think it preferable to being totally closed to something that is evidently important to a vast number of people. Therefore, as I am interested in people and what they think, and the state of the world and how we live and donate authority etc… I am more inclined to listen and make up my own mind than I am to mock those with ‘alternative’ views. And that’s the nub of this article really. I’m not here to condemn or condone any individual conspiracy theory, as for one, that would be an almost impossible task, there being as many theories as there are opinions. I am not here either to convince those who are opposed to such things to change their mind. I am here to point out a few broad thoughts that I think should be of interest to both sides, and if this leads to anyone having new and distinct thoughts of their own, then that is always a good thing. “A secret plan by a group to do something unlawful or harmful” or the much more vague, “action of plotting or conspiring” (Google). That definition doesn’t seem so inflammatory, and it is strictly limited to the definitions of the words ascribed to them. So, on the face of it, is it reasonable for anybody to think that there may be any groups of people hatching plots to do something unlawful or harmful? 1. The ‘Prism’ data gathering project as leaked by Edward Snowden. 10. The questionable intelligence reports that led us into what is now widely considered to have been an illegal occupation of Iraq. So you can see, I’m not treading into the more contentious issues here, I’m just spelling out some of the well reported cases that we are told about due to one reason or the other (usually a kind of ‘critical mass’ point where it must just become impossible to maintain the lie, or due to very brave and selfless whistle-blowers). And these are just a handful that I can think of without consulting the internet or looking further. As all these examples were not intended to be known about, there must have been at the core, a ‘secret’ group who did know about it, and tried to keep it that way. These may well be bespoke groups, formed by incident and circumstance, but by association, they definitely form a unit. Did they intend to do something unlawful or harmful as per the definition? Well, in most cases, they started by doing something unlawful or harmful, and then chose to try and evade discovery. This may not be the earth-shattering revelations that you may hear from certain quarters of the conspiracy community, and I know some people go a lot further in their interpretation of events, which can often harm the credibility of what they are trying to say. What I would point out is that by matter of degree, if these things are known about, and as serious as they are, then the next one is only ever around the corner and is happening right now. So yes, some people may go too far with the conclusions they draw, but is it any wonder they are asking the questions? Before the proliferation of the internet, the global financial crisis, the riots and uprisings around the world, the word ‘conspiracy’ was usually ascribed to the likes of UFOs and Elvis etc… But now, perhaps not surprisingly, it is about global banking corporations giving dictates to sovereign countries and stealing their wealth. Political parties that seem more interested in removing civil liberties and rewarding private companies and wealthy individuals for helping them to do so, and about the bastardisation of our food supply and ruthlessness of our pharmaceutical companies. Oh yeah, and fabricated intelligence to lead us into illegal wars. I would argue that it is a self fulfilling phenomenon. There are conspiracy theorists, because there are conspiracies. To believe there is not would be extremely naive. But where is the demarcation point? The people I meet who scoff at the idea, would accept the cases I raised earlier I’m sure (being generally intelligent and well reasoned people). So it’s time for a good old analogy. Think of the conspiracy community like the fashion industry. No-one really wants to wear the outlandish outfits that are hung on human-skeletons and teetered up and down the cat walks, but it is seen as the bench-mark of imagination and flare that will ‘trickle down’ to the rest of the market in a derivative way. Small features and elements of the designs may work their way into every-day fashion and accessories as a result of a few people taking the practice to its extreme. It is the same with the world of conspiracy. A few determined people are stretching the bounds of imagination to allow us to explore the possibility that all may not be right with the world, and in many cases, though perhaps not as dramatic or extreme as they may have originally purported, we see evidence that things like that do happen, and eventually, these derivative claims become substantiated and accepted. 1. The huge inequalities in the world. – There is no secret about this, we all know they exist but we are relatively happy as long as it isn’t happening on our doorstep (we may be morally repulsed, but distance is a great healer). We can look at parts of Africa and feel sorry for them. They have drought, disease, oppressive regimes and what not. However, they do also have vast tracks of land owned by Western countries who prevent them being self sufficient, destroy their way of life and sell them back the products they produce at a higher price than they can afford. (ref: http://www.bbc.co.uk/news/world-africa-17099348). The point to be made here is, there are huge avoidable inequalities in the world, so if they are avoidable, why are they are still happening? Business interests? Most likely. Does this constitute a conspiracy? 2. There are people making a lot of money in the world for doing nothing. – Again, no secret here. By ‘nothing’ I would add the words ‘of value’ to make this clear. Yes, some people may do the arduous task of pressing buttons or making a phone-call, or employing someone else to press buttons and make phone calls, in order to speculate and gain massively on stock and money markets, but this adds no value to the world and over inflates the cost of fuel, food, medicine and other resources. Someone speculating on a stock doesn’t go down to the warehouse to inspect it, take an interest in the company, have a passion for the benefits it will bring, declare a moral interest. No, they see numbers on a screen, and the better return, for the least effort and cost, the more attractive the prospect. Is this a conspiracy? Well, when you think that we are suffering self-imposed austerity measures which, lest we forget, derived from the global financial crisis of 2008 and not from public spending, then why exactly are we allowing ourselves to be subjected to these measures because some super rich people made some dodgy deals? Do you remember the sentiment of 2008? We were ready to put them in prison, the bankers, the traders who caused this, but now we seem happy to be paid less, to pay more, to be less secure, less educated, less socially mobile, to lose our jobs, to lose our rights, to lose our benefits… and not one banker or politician responsible for overseeing the system went to prison? Whatever the reasons, this just doesn’t add up in a reasonable world, and the scary thing is, we seem to have gradually accepted the semantic shift from ‘global financial crisis/bank bailout’ to ‘structural deficit’ & ‘public spending savings’. When did this language change, and when did we adopt it? And why do we accept it? And that’s where the credibility suddenly disappears, and the man in the suit lights up another cigar and carries on. Because here we see the move from observations and reasonable assumptions, to speculation and (what some will term) fantasy. I just made that last example up, and maybe (because anything is possible) there are schemes in the world as ridiculous sounding as this which are true. But people have been programmed to want evidence for these things. And when I say programmed, I mean by a culture of thinking and inquiry that has dominated our view of knowledge for centuries – empiricism. This doesn’t make it right, but it is the default for the majority and without it, they will turn their heads, make silly gestures about you, and do nothing. Even if you think they are wrong or even deluded about some things, in general they are just observing injustices in the world and trying to find out why we allow this to happen. Give them that modicum of respect and credibility if nothing else and don’t accept the world as presented just because someone else may go too far (in your opinion) in pointing this out. Maybe it is as simple as business interests, bribery and corruption that lead to a lot of the problems we see in the world, but does that make it alright? Can you not see why some people would have concern for the world and its people and want to get to the bottom of it all? Many people are looking for reasons to discredit and doubt you. Try not to give them that reason. The injustices you stand against are reason enough to raise awareness, the leap into speculation and complex, divisive theories, deters peoples from engaging with the underlying issues and taking them seriously. Until you get people on board and demanding answers to the basic problems that are evident, it is hard to see how progress will be made. So there we are. I hope, my opinion goes some way towards reasons for us to all move closer together rather than further apart, even if respectful distance is maintained. To lend or not to lend, is that even the question? Before I get started, just so you know, I’m not an economist. Therefore, like most of you, I pretty much rely on one man, the BBC business/economics editor, Robert ‘The Drawl’ Peston, for all of my information about economics in this country. This morning Robert told me (via Radio 4 – he wasn’t in my house, I don’t think), that we have somewhat of a conundrum in the banking world. The government want banks to lend to businesses and ‘the economy’ again, but simultaneously they also want them to hold higher ‘tier 1 capital ratio’s’ in line with BASEL III recommendations of around 7%. You got that? Good, because here is the tricky part… The two banks that have been lending and meeting the governments targets, namely Barclays and Nationwide (which isn’t strictly a bank, but never mind) are now going to get penalised by the regulators for not holding the requisite 7% of capital against the loan books, and now have a ‘shortfall’ of capital… Oh no! Double oh no! Triple oh no! Here’s the stickler, the best way for banks to hold the capital is by not lending. But we want them to lend, and we also want them to hold capital. Robert says, (and he makes clear this is in no way a criticism of politicians) that this is contradictory. Thank God, or if you prefer, the purely random complexity of life to emerge out of just one of an infinite number of universes, for Robert Peston! Without him we would surely be ignorant. For now we know the two choices that face the economy, to lend, or not to lend, but is that really the question? As I said, I’m not an economist. Thank God, of if you prefer… etc. I wouldn’t want to be stuck in a profession that gets itself caught in incompatible binary choices and still can’t see the utter pointlessness of its existence. Let’s put it like this, have you ever played Sudoku? I’m going to presume ‘yes’ or that you are at least aware of it. Now this may seem obvious to you seasoned players, but I used to think with Sudoku that if you arrived at a point where you had only two possible numbers in several boxes, and were unable to eliminate any others, you were faced with a choice. One or the other, and then see what happens. I was really pleased to (only recently) find out strategies that, although complicated, avoid you ever having to make a random choice in Sudoku. I still haven’t mastered them all yet, but I’m getting there. Now imagine playing Sudoku where you were left with two choices, and there was no process you could follow, or any amount of computer analysis that could tell you for sure which number to go with. Now imagine that even if you chose either numbers, they could still inevitably fail, and no correct answer could ever be obtained. I think you would agree that it would constitute a rather poor, frustrating and pointless game. Well, it is my opinion (remember, not an economist) – that the economy and the financial systems of this world are exactly that. A Sudoku puzzle that cannot be solved. We’ve been at it for years, but now it has come to the crunch. Two numbers in a box, and no reason to choose one over the other, as both make the solution invalid. For the philosopher Thomas Kuhn, this would constitute a ‘paradigm’ that has been fully inhabited and rigidly defined by its architects, defended strongly by its adherents, and been more-or-less suitable for our purposes to a point. However, as Kuhn described with science and political structures, the dogmatic adherence to this paradigm will reach a revolutionary phase, where the underlying errors in its foundations and principles can no longer be ignored as they are causing catastrophic problems that can’t be reconciled. An easy way to demonstrate this (courtesy of Open University author Jon Pike) is with astronomy. For centuries we relied on a geo-centric model of the solar system (placing the Earth at the centre) which was fundamentally wrong. However, the principles were still sufficient to enable steady progress in navigation techniques and solve celestial puzzles. Eventually, over hundreds of years, as our needs became more complex and our techniques more advanced, little inaccuracies began to form and adjustments were made to the calculations. But the underlying false premise remained, and as real-world problems occurred in navigation and astronomical calculations, the opponents to the system, who had until that point been branded idiots or even heretic’s, were finally able to supplant the old system, firmly placing the sun at the centre of the solar system. And lo! Suddenly all the little errors were rectified by the truth of the new system, and humanity made a great leap forwards. So it is that we have arrived at the same point with the current financial system. There is a false premise somewhere which unless removed and the whole framework restructured, will constantly prevent us from progressing. My guess (not an economist remember) is that this flawed premise lies in whatever function of the system also causes the huge wealth inequalities in this world by granting those with vast resources the ability to exponentially increase said resources via trading on loans/debts etc… I think that buying money to make money, with money that never existed, sounds like a pretty damn ridiculous concept that benefits a few people with access to such scams, and depresses everyone else. If he ever did say that, I would probably ask him to move in with me, but alas, I fear such words will never slowly drone out of his lips and through my radio to my anxious ears. You see the problem with a ‘paradigm shift’ is that those who have made a profession out of the current system will defend it, as it is in their interests to do so. This is why the mainstream media does not give us an accurate enough picture of the world, because it rejects the possibilities of alternatives that could render its expertise redundant. Not that it doesn’t have a place, it certainly does, but we need to think about and explore alternatives to all sorts of accepted truths that are actually just abstract concepts of our own device, able to be revised and replaced when they become unworkable and damaging to equality, which I would argue ‘economics’ certainly and irrefutably has. But I’m not an economist, so what do I know? 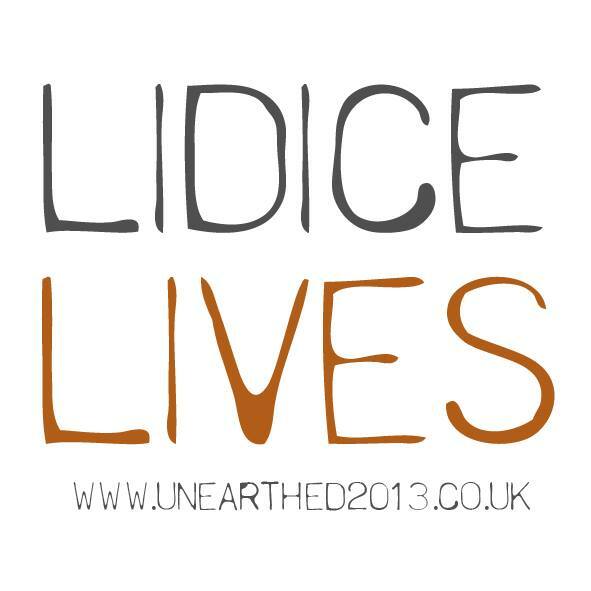 I have had the privilege and pleasure this year of being involved in a community arts project in Stoke on Trent to commemorate the tragic destruction of the Czech town Lidice at the hands of the Nazi’s during the WWII. The small village was totally destroyed and most of the inhabitants brutally murdered. Following this atrocity, Stoke on Trent MP Sir Barnett Stross, declared that ‘Lidice Shall Live’, and roused the miners of Stoke to donate one days pay a week until the end of the war in order to rebuild a new town on the site and repatriate the few survivors. It is a tragic story tempered by the inspirational response that the people of Stoke on Trent made. We can’t always stop terrible things happening, but we can choose how we respond in the most positive way possible. If anything ever demonstrated this principle, it is the story of Lidice. So my colleagues, the design company ‘Dashy-Line’ have been commissioned to build a sculpture in Hanley (which is now the ‘main-town’ of Stoke on Trent), to commemorate this act of defiance in the face of hatred. They have designed a sculpture that will be clad in ‘miners tags’ showing the initials and day of birth of all the people who have promised to retell this story, and keep the memory alive. This has involved engagement projects, to spread the story, and this is where I come in. I have written the script for a short animation that has been produced and presented to various groups and on-line, and also I wrote the score for a ‘Miners March Choir’ that was performed at a memorial service last Sunday. It is the poem for the Miner’s choir that I wrote and used as the lyrics that I want to share with you today. Eventually I will have footage to show, but for now, the words I think, say it all about the choices the Miners made when asked the question, “Would you give up your hard earned pay?”. After reading, I would urge you to visit http://www.unearthed2013.co.uk and make your pledge to share the story. It is totally free, and by doing so your initials will form part of the cladding on the new sculpture in Hanley that could, for all we know, be there for hundreds of years. Read the info, make your promise. It only takes a few minutes. Thank you. laid ruin by common enemy? where no-one gathers to the bells? to keep forgotten dreams from sleep? the memory and Lidice lives. Please visit http://www.unearthed2013.co.uk to make your promise. Thank you. The slippery slopes of privacy and data. We’ve all heard that right? When there’s a debate or a scandal happening about privacy or identity, like the emerging saga of the ‘Prism’ systems in the USA that have been harvesting our private data and allegedly been giving access to our intelligence services, thereby circumnavigating the legal process we have in this country for access to private data. It seems like such a straightforward rebuke, a simple piece of logic. If you haven’t done anything wrong, or are not planning to do something wrong, then why should you be worried about the idea of the state accessing your private communications? At the end of the day, all they are going to find is that your ‘data’ is innocuous, innocent interactions about your daily life, of no consequence to national security. The problem, for the unthinking who take this view, is that what we decided is ‘right’ and ‘wrong’ when it comes to the state, and whether we are subject to the authority of each and every law, is one of the oldest and most highly debated topics of philosophy, because it is one of the oldest and most highly debated issues that exists in humanity as we know it. Questions like, “why should we obey the state?”, “Who gave them authority over us (and when)?”, “When did I agree to these conditions and give my consent?” are as old as Plato and beyond. And they are very important questions that lead to very interesting, if not clear, answers. In the example of ‘Prism’ and its fight against terrorism by harvesting our data, a few imaginary scenarios should start to highlight the problem. The first one I will call ‘The Extreme Inheritor’ problem. Simply put, at some point at a future election, an extreme party manages to secure power. By extreme, I mean a party that has hard-line views. They may have only been voted in on one issue, but now they are in control of the whole state functions. And what do they inherit? An infrastructure that allows them to gather, filter and view all our correspondences on all our various online interactions. How will they use this data? Even if we believe the current administration to be a fair and just custodian of this information, only using it for the kind of threats we agree with, how can we be sure the new keepers will do the same? They may want to search out sympathisers who stand against their extreme view (which by matter of degree, given their position, is highly likely), and bring sanctions against them. They may have a very different concept of justice than you do, and what you thought was right and wrong before, has become inverted or has significantly shifted. The next ramification could be a ‘Temptation Shift in the Custodians’. In this scenario, the existing administration discover, naturally, the new powers available to them, the scope and possibilities that it brings. Now that they can conceive of and examine the new options that arise from the powers granted to them, they are at least aware of the possibilities. To find a suitable analogy, suspend your beliefs, or lack of, and think of it as a ‘road to paradise’ that we discover, but we also find that it runs through all the temptations of hell. Do we trust the current leaders to not give into the temptations, now they travel so close to them and are in touching distance? How long can they travel down the long road with the whispering demons promising spoils and temptations in such close proximity? Would it not have been better to find a road that does not run this way at all, or if unavoidable, only runs past hell on the least occasions? Even if this road is shorter, is it worth the risk? The third and final possibility is the ‘bribery, threats and collusion problem’. I have seen defenders of this invasion of privacy making comments like “If the government look into my online communications, they will probably knock on my door and tell me to get a life!”. Basically saying that the majority of us live such dull and uninteresting lives that there can be no value in any data gathered. Who would care that you were visiting your elderly relative that day? Or that you have a new partner? Or that you work for a cheese factory? On the face of it, this data may seem innocuous enough, supposing that you believe your life will forever not be of worth, that the world may never change around you, and that you will never be in a position to be bribed or threatened. Say however, something does change (heaven forbid), and you become aware of some corporate negligence that had led to the deaths of your colleagues, and you wish to report this. If there was an interested party who would prefer you not to, they now know your family arrangements, your loved ones who you hold dear, and the extent to which you would go to protect them. This is a small example, and you may think, not very likely. But as we don’t know the future, as terrible things happen naturally and by design, to think ‘it will never happen to me’ is just ignorance. It may never happen to you, but I warrant that anyone can be in the ‘wrong place at the wrong time’ regardless of how boring a life they aspire to lead. The objections I imagine, will be made along the lines of ‘checks and balances’. Some agents, above moral corruption, will conceive and enforce measures in order to prevent the powers being abused. Yes, we may sail close to the rocks, but a ‘reliable navigator’ will make sure we never stray too far. This objection has at least two faults. In the case of the ‘Extreme Inheritor’, remaining with the nautical theme, we would have to rely on the mutineers who have now taken over the ship, maintaining the ‘reliable navigator’. The likelihood of this is as unclear as the agenda of any group we can imagine taking power in the future. Most, if not all, administrations usually start their terms in power by making any constitutional shifts to the frameworks they operate within, usually in order to favour themselves and their causes. Often these changes, concerning as they do a host of specific and convoluted legal and bureaucratic decree’s, go unnoticed by the general electorate, and like most decisions, are not passed by referendum. It is easy to imagine the extreme inheritor blatantly or subtlety removing the checks and balances that were designed to prevent them abusing powers. The second objection to the ‘reliable navigator’ in the case of the ‘Temptation shift of the custodians’ practically runs along the same lines as the first, though may be less dynamic and as a result more subtle as the temptation shifts towards the new position. I would argue that this is the most likely and most worrying scenario, as unlike the ‘extreme inheritor’, a shift of this sort would necessarily be made gradually and secretly, so as to maintain custody of the powers without protest. The aim would be to almost imperceptibly degrade or transform the role of the ‘reliable navigator’ over time, until it is now only reliably navigating us down a route we didn’t originally want to follow. A further objection would be the case of ‘statutory underpinning’ or something similar, that aims to ensure that no succeeding government can tinker or change the operations and positions of the ‘reliable navigator’. To make them ‘locked out’ like black-box technology, a kind of immovable and unchangeable moral foundation to wit all future humanity must adhere to. To this I would say that we are over-reaching our temporal influence. To imagine we can set dictates now for the future of humanity, that will last as truth beyond such a time as our own generations have long since perished, is an absurd notion. To put in motion a boulder down a mountain because we live at the top and our villages are well clear of it, when we have no knowledge of the life in the slopes below, is irresponsible, presuming you have any concern for the future of our race. To briefly bring this back to the real world examples, we also have questions of security versus commercial interests. The material gathered about our lives will undoubtedly be of great commercial value to private enterprise. You may not be concerned about receiving tailor made adverts to your desktop based on your browsing habits (as happens already), but even so, what if this data sheds enough light on our group habits as to allow price-fixing models and the distortion of the market beyond what we already endure now? This is more a case for political science that philosophy, but it is worth mentioning here as another example of unforeseen consequences. I hope here to have shown the folly of adopting the ‘greater security means less liberty’ argument by highlighting what high risks such a statement, at least in this case, could lead to – namely a reduction both in security and liberty. It has too great a capacity to be ultimately self-defeating and we should not set such a risky precedent. If it has already began, as it seems to have been, it should be reversed immediately before these risks can be manifest. Lobby versus Lobby. My guide to Lobby. A hearty stew often made from the leftovers of previous meals and any vegetables that are in danger of going out of date if not used. A low cost and efficient use of ingredients, popular in the North of England for those on a budget, or those who just want to make the most of what they have. An apparently legitimate practice of accepting payments or other benefits in kind in order to influence parliament and introduce or affect legislation beneficial to the sponsoring party. I much prefer the first definition of ‘Lobby’, it doesn’t leave such a bitter taste in the mouth. Coincidentally, these definitions shared by a common word do go some way towards highlighting the division that is becoming ever present in our riot-ridden societies. For me, a bowl of Lobby conjures images of bubbling pressure cookers, soft white bread, and big chunks of meat amongst the limp yet tasty vegetables all suspended in a rich, thick gravy. The frugal use of perishables and left-over’s to create such a rustic delight characterises a very British rendering of the working-classes ability to make the most out of the little they have: Chin up, on with the overall’s, back to work, and on way ‘ome, pick up a loaf an we’ll av some lobby with what’s left of Chicken from roast eh? By the end of the article, after a small bump in the middle of the week where the reporter allowed himself a “comfit duck leg or two from the conference buffet, so as not to be rude, you understand”, the reporter would proudly proclaim that he had managed a week of living like a poor person, calculate the cost of the lobby (by carefully weighing each ingredient, allowing for lack of freshness and discounting accordingly) as being less than 2p a day, and a respected dietician (because the article tells us so) would give some vague appraisal of his health, saying that it perhaps lacked fruit, but was in general quite nutritious. And we can all be happy that, if we have not started eating it already, Lobby was the food we should use to console ourselves for being poorer than the journalist who wrote the piece. But of course, in the interest of fairness, and possibly the recent revelations about Lords and MPs accepting money on behalf of fake lobby groups to influence our countries laws and policies, we are now treated to another ‘idiot’s guide’ to lobby, but this time, don’t try to dip your spoon in it, unless it is silver and you were born with it in your mouth. Yes, the pre-predicted ‘lobbying’ crisis is now in full swing. David Cameron, being the astute fellow he is, warned a few years back that this would be the next scandal to hit parliament. I don’t know what tipped him off, maybe it was the fact that he and other senior members of the parties were constantly being asked to stand around on balconies at champagne receptions and talk to representatives of specific interest groups who had somehow managed to appear in front of them, guided by a fat Lord or MP who had insisted they spare at least five minutes to ‘hear what they have to say, I hear that these pay-day lenders are having a rough time in the US, and it would be a shame for the UK not to be the kind of country that allows such a necessary credit to flow for those who need it most.’… or something similar. Oh good! That’s clear then. They are a legitimate group of people with money able to influence the democratic process. That’s good. I suppose that means if I ever find myself with a bit of cash and a cause, I have the same access to my elected representatives to push my agenda and that of other like-minded people. I knew there was something missing from this democracy that was making me feel alienated from it and totally unrepresented: Money! So, how much will I need, BBC? Well, that’s not really that helpful. I don’t know much about Fiji and I certainly don’t feel like spending that kind of money on it. What else? How about say, pushing the solar energy industry interests? “Make that… £12,000 a month. I think we could do a deal on that.” – Lord Cunningham. “A register of lobbyists … would assist MPs in making sensible decisions about who they should be talking to (and ensure) greater transparency about the workings of Parliament”. – MP Robert Buckland. Brilliant news. So if the likes of Mr Buckland get their way, we will still have private individuals and groups with access to wealth paying for undue, unethical, morally repugnant influence over the democratic systems, but at least we will know who they are, because as you and I know, we are forever perusing the published lists of members interest registers and so forth, as is our inalienable right as citizens. If something pops up on a register somewhere, online or accessible through nothing but a simple freedom-of-information request (which I know we are all forever submitting), and we think it is a bit dodgy, then we will be able to wait a couple of years and then vote the individual out of his seat… if we live in that constituency… or vote out the party he represents…if you believe it is a problem systemic to that party…or we can…? So who do we turn to in order to solve this crisis of confidence and vested interests rife within our democracy? None other than Nick Clegg! (what a guy). He and the Prime Minister are “determined” no less, to stamp out this practice and reform lobbying, just as they were three years ago, just as Clegg was determined not to introduce tuition fees, just as Cameron was determined not to privatise the NHS (which is happening right now), just as the both of them were going to introduce the ‘right of recall’ for the electorate to banish corrupt or incompetent MPs (still waiting). So we can rest assured that this problem will get resolved just as all those other issues did. Recapitalising failed and corrupt private industries with taxes and then pretending this never happened and blaming it on the welfare state and public services. Causing the deaths and despair of hundreds of thousands of disabled and economically/socially destitute people as a result of the above and the reformation of the welfare state. Allowing major businesses to exploit tax loop-holes introduced by the same accountancy firms contracted by the government to write the tax rules who are simultaneously advising the corporations as to how to break them. And again, these are just the ones we know about. “What would really solve the problem would be to make it a criminal offence for any lobby group to offer cash,” – Jonathan Tonge, Professor of Politics at Liverpool University. This really is my favourite quote, because I agree with it, but it will never happen and I doubt you find many MPs asking for the same. For me, no MP, Lord, or senior civil servant should have any other interests outside of the little task of running the country. None, whatsoever. But this would be absurd! How can MPs survive on as little as £65,000 a year? I mean the Lords don’t get paid, except for expenses, which include up to £45,000 purely in housing costs, let alone the £150 or so each day, just for turning up (expenses of course, not a salary, that would be WRONG!). The media circus will dance around this for a little while, some legislation will be promised and maybe even introduced (all be it in a watered-down, unworkable and largely symbolic way) and we will all just carry on usual. We forget that we are just animals on an island who at some point decided that it was easier to work together if we voted to resolve disagreements and set our priorities, but instead, over time, rather than voting on decisions, sociopaths convinced us that it would be easier to vote on a person who could just make those decisions in your stead. From that point on we were doomed to suffer the whims of the powerful who keep many of us just happy enough to forget that we can remove them in whatever way we want, not just within the framework that they control and contort to their own ends. If we decided the whole rotten bunch of them need to go – go they will. There are 62 MILLION of us, and only around 1500 mp/lords. I think we would win. Wouldn’t it be nice if they remembered that now and again and stopped being such corrupt bastards? As always, I’m sure there are the honest few who would never dream of allowing themselves to be corrupted, bribed or influenced, but they must know that it is going on all around them. How can you operate in such an environment? How can you not make corruption the top of your personal and professional agenda if you ‘believe’ in democracy? How can you prop up the likes of such people? Where are the whistle blowers? Where are the great reformers? Hello? Are you out there? Because if you are, a lot of people would probably vote for you if you stood up to these landed, privileged, career politicians and spoke some truth to power on our behalf. I look forward to your candidacy and your manifesto that promises to shut down the party donor systems, shut down the lobbying systems, prevent elected representatives having any other interests other than that of the electorate, introduce a true recall system, embrace technology and the power of the referendum to return responsibility to the citizens and just represent us, don’t rip us off or repress us, just represent us. It’s not much to ask for, is it? So in the meantime, let’s just tuck into a bowl of lobby instead, it’s much better for you and it doesn’t cost £12,000 a month.